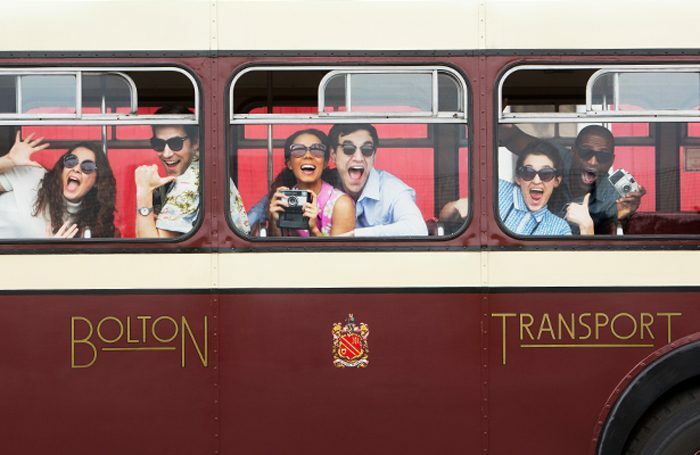 The Octagon Theatre in Bolton has announced it will stage a site-specific production of Summer Holiday in which audiences will be driven between locations on double-decker buses. It is the first show announced in a programme of work that is taking place away from the theatre as it undergoes a £10 million redevelopment. The new production of the 60s musical film will sees audiences meet at Bolton’s main bus station before the cast performs on six double-decker buses as audiences travel to another location, ending up at the Albert Halls in Bolton for the remainder of the show. Octagon artistic director Elizabeth Newman said the “ambitious” staging of the musical would include a cast of actor-musicians, yet to be announced. She will co-direct the production with Ben Occhipinti, and it has design by Amanda Stoodley and musical direction by Richard Reeday. Summer Holiday runs from May 31 to June 23, with press night on June 4. It is the second production of the musical announced this year. A UK tour of the show, starring Ray Quinn, will open in May. Where’s best to train in screen acting?